Do you still have to drive a long way from your home to see movies in the theater on weekends or holidays just for a mighty visual impact? Now it is no more a big deal. If you’ve got DVD collections and Raspberry Pi at hand, a DVD converter will take care of the rest things for you, and all you have to do is back up your DVD collections to NAS server. Raspberry Pi is a single-board computer with the same size as a credit card. It has one mini USB interface for power input, two USB interfaces, one LAN interface, one SD slot, one HDMI interface, one interface for AV video output, one audio interface and GPIO interfaces for peripheral units such as LED, switch and sensors. It can be plugged into your TV with a HDMI cable. As is known to all, Raspberry Pi is as tiny as a credit card. So it is necessary for people to build a multi-media center with XBMC. How to get XBMC and Raspberry Pi ready for use? 1. First of all, we need a SD card and 3.0 USB stick to start the work. 2. Secondly, download and launch the Raspbmc installer (www.raspbmc.com/download) to run XBMC. 3. Thirdly, insert the SD card and USB stick to Raspberry Pi. Now you’ve got Raspberry Pi and XMBC ready for use and you want to watch DVD movies with XBMC on a Raspberry Pi on TV. It’s time for a DVD converter to play its role – converting your DVD movies to the corresponding video format supported by Raspberry Pi. And as we know, Raspberry Pi currently supports the video format of H.264. Here I will highly recommend you Pavtube DVDAid – a conversion product which supports various output video formats with high quality and multiple functions. How to convert your DVD movies to H.264 MP4 format for playing with XBMC on a Raspberry Pi on TV? First of all, download Pavtube DVDAid to your computer and then install and launch it. Click “File” and “Load from disc” to load your DVD movies to DVDAid. Don’t forget to select preferred subtitles and audio track on the main menu. Click the dropdown format menu to choose your target video format where there are quite a lot of output video formats supported by DVDAid. And here we need to choose “HD Video-H.264 HD Video (*.mp4)” for Raspberry Pi. If you want to change the default profile settings, please click “Settings” to adjust both video and audio settings according to your need. Here you are allowed to set video size, bitrate, frame rate, etc to achieve the best movie effect on your tablet. Click “Edit” to the video editing interface. 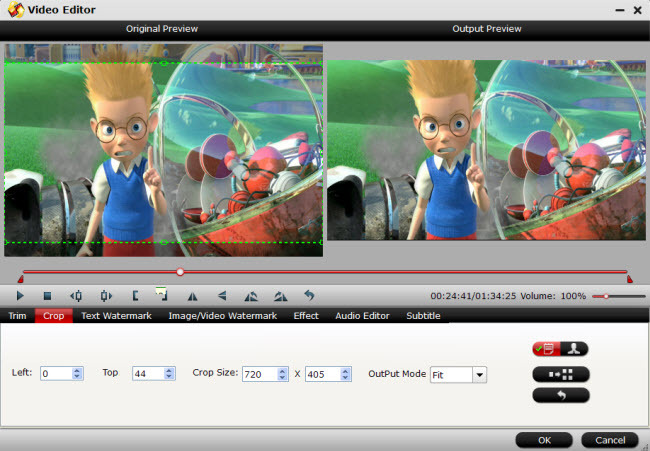 On this interface, you can edit or beautify your DVD movies through trimming, cropping, merging, splitting, adding text/image/video watermarks, etc for your visual enjoyment. After setting everything for your DVD conversion, go back to the main interface and click the big red button “Convert” to start conversion. If you are tired of waiting for the whole conversion, tick off “Shut down computer after conversion” and take care of your other business or entertainment. When the conversion completes, you can get your target video format of H.264 (*.mp4) for Raspberry Pi. What a great and easy-to-use software! 1. Various output video formats support. 2. GPU acceleration technology to make the conversion faster. 3. Video editing at will supported. 5. Free trial before purchasing. Now have a try of Pavtube DVDAid with no more hesitation, and it won’t fail you! And what’s more, here is great and big news for you! Pavtube has launched money saving software bundles! For example, if you are ready to buy a DVDAid which costs $35 alone, extra$ 0.9 will help you get a DVD Creator whose original price is $35. In this way, you can save up to $34.1. For more money saving information and surprise, please visit www.multipelife.com/special-offer. I am very pleased with the application, it exceeded my expectations and I am very happy with it. Your application worked like a charm. Hi Monica, I liked being able to try the software before I bought it, as I was unsure which package would work best for what I want to do. Pavtube seems to offer many possibilities on top of my principle reason for buying it. 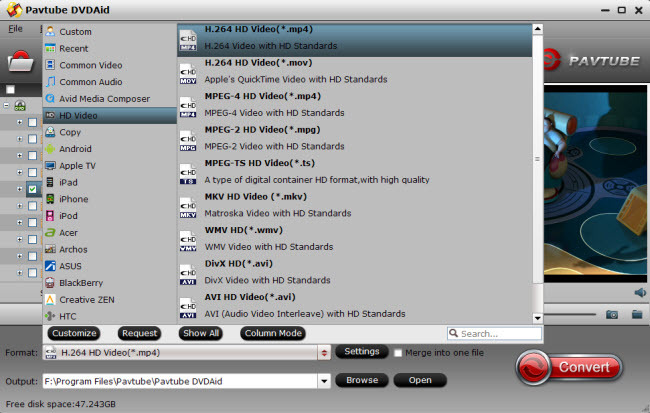 With PavTube, I have the opportunity of converting DVD to H.264 MP4. Thanks. I have to buy the Mac version and also the Windows version and I have had a very good service from you because I speak English and not much you care for we even then I have to speak French for you to my other friends and have it buy your software and I will continue to thank you buy from thank you.